While Bill Belichick may seem like one of the toughest coaches to play for, he still has a soft spot for team bonding experiences. Currently in his 19th year as head coach, Belichick is always looking for ways to bring a team together before the start of a season. When Patriots players arrived at Gillette Stadium Monday morning for what they thought was a work day, they noticed buses lined up in front of the facility. As it turns out, those who took part in Monday’s voluntary OTA were off on a trip to Fenway Park for some team bonding and a chance to hang out and have some fun with each other. 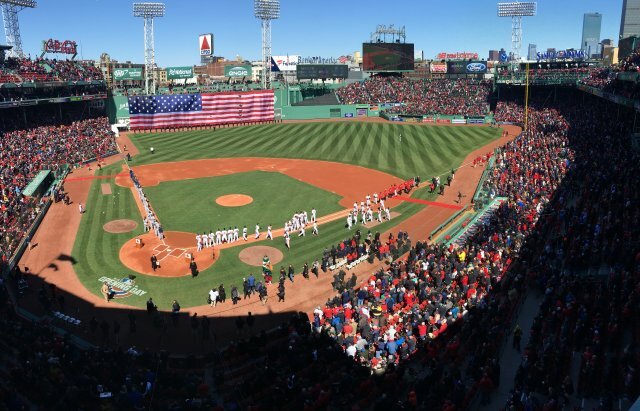 The Red Sox are currently on the road, so that means that the Patriots had the historic baseball park all to themselves. Of the 90 players on the roster, 28 weren’t with the team last year. So Monday’s team bonding trip to Fenway was a nice way to take a break and unwind.